Aluminum coil is an important ingredient in the production of a wide range of industrial, commercial and consumer products. Air conditioners, automobiles, aircraft, furniture, structural components and many other products can involve the use of aluminum coil. “Aluminum coil” is the term used to describe the raw product of the aluminum sheet production process. Coiled aluminum sheets are easier to store and transport than many stacked individual sheets. Aluminum coils are supplied to manufacturing operations, metal fabricators and other metalworking operations by aluminum suppliers. When a coil of aluminum arrives at a metalworking facility, it can be subject to all manner of processing. 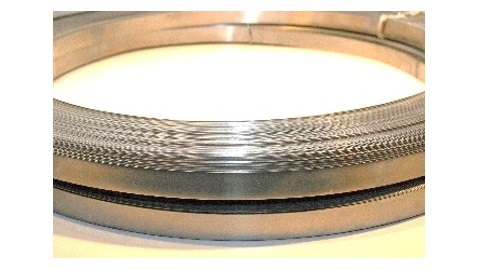 Coiled aluminum can be stamped, etched, cut, welded, bent and fastened to other metal products. The automotive industry accounts for almost thirty percent of the aluminum use in the United States, and the demand for aluminum coil from automotive manufacturers is high. Once formed, whether in an automotive manufacturing facility or other operation, aluminum can be painted, embossed or mill finished depending on its intended use. Because the demand for coiled aluminum is so extensive, an equally wide variety of coiled aluminum thicknesses and alloy grades is available to purchasers. 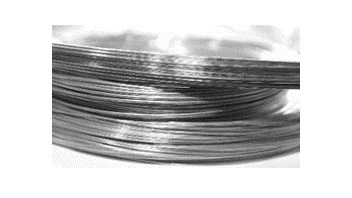 6061, 7075 and 1100 aluminum are just a few examples of the many aluminum alloys that are available in coiled form. Different aluminum alloys feature different qualities of tensile strength, electrical conductivity, corrosion resistance, malleability and chemical inertness. In addition to the variety of different coiled aluminum alloys available, coiled aluminum is available in different specifications of thickness, width and temper. Surface finishes can be custom specified by customers in some cases. Coiled aluminum can be particularly attractive to metalworking operations because it is recyclable. Recycled aluminum is much less expensive than raw aluminum, as extracting aluminum from the ore in which it typically occurs naturally is a fairly expensive process. This lower cost combined with the environmental friendliness of aluminum compared to other metals makes it very popular in a wide variety of contexts. Aluminum Coils An aluminum coil is a long strip of aluminum that has been rolled into a dense coil. Aluminum coil can be more efficiently and inexpensively produced than many other metal coil varieties. It is also corrosion resistant, recyclable and is a good conductor of electricity and heat.